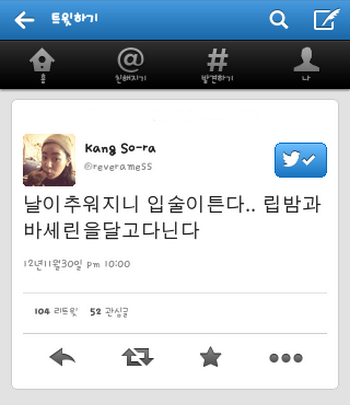 [1st tweet]KOR. Hanyu you yisi keshi hen nan중국어 걸음마중! 성조표시를못하겠당.. 이게맞나.. ? pic.twitter.com/2Ralk9SlENG. (Written in Chinese pinyin method) Chinese language is interesting but very difficult. (Written in Korean) I am toddling (learning it). I cannot display the intonation..is it correct..? 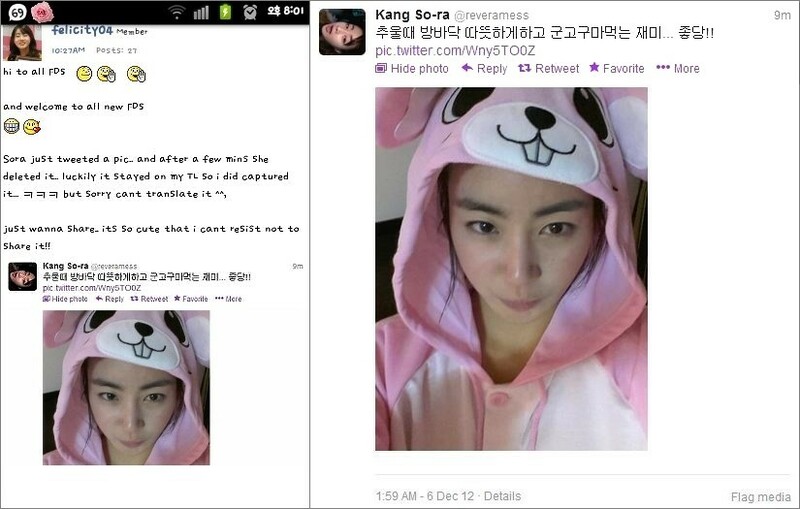 [2nd tweet]KOR. Wo xing 강 jiao 소라!! Ni jiao shenme mingzi?ENG. (Written in mixed Chinese pinyin method and Korean) My surname is Kang (강) and my first name is Sora (소라)!! What is your name? KOR. 2am콘서트갔다가 코엑스가서영화보고 귀가! 진운아땡큐! ENG. (1st trans. 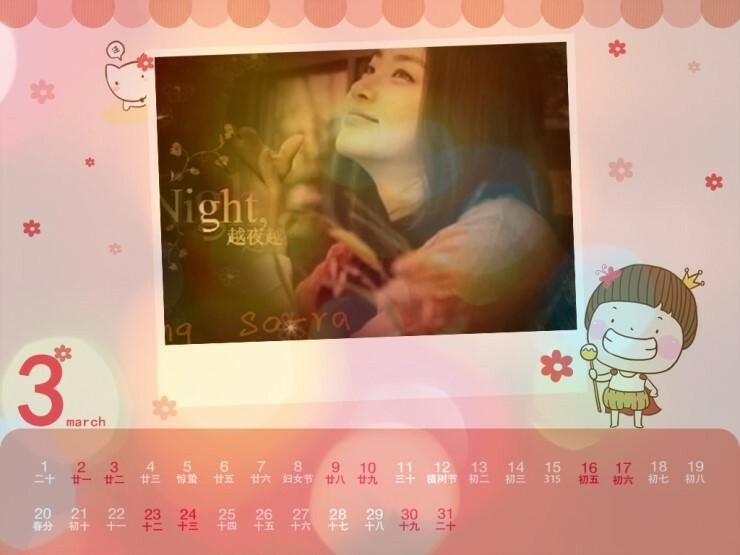 Cr: @TSL08)Comeback home after watching 2A.M. concert and a movie at Coex! Thank u Jinwoon! (At Coex, sora only watched a movie. not a concert)(2nd trans. 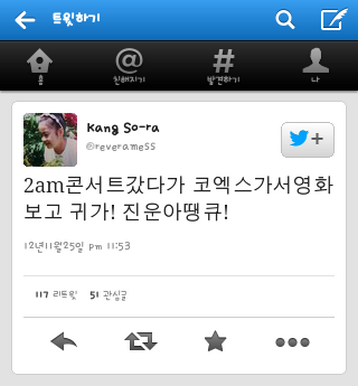 Cr: @hiedi)I went to 2am concert, then went to CoEX to watch movie and returned home! Jin Woon-ah thank you! 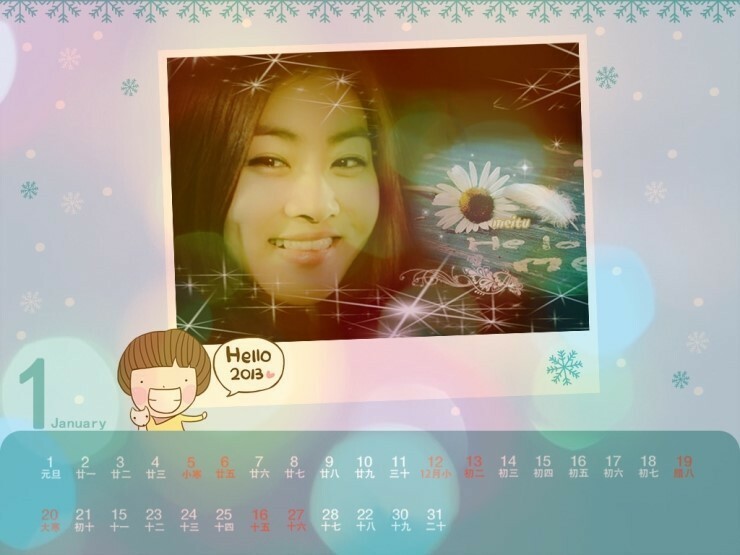 Kang Sora's attraction for the commercial! 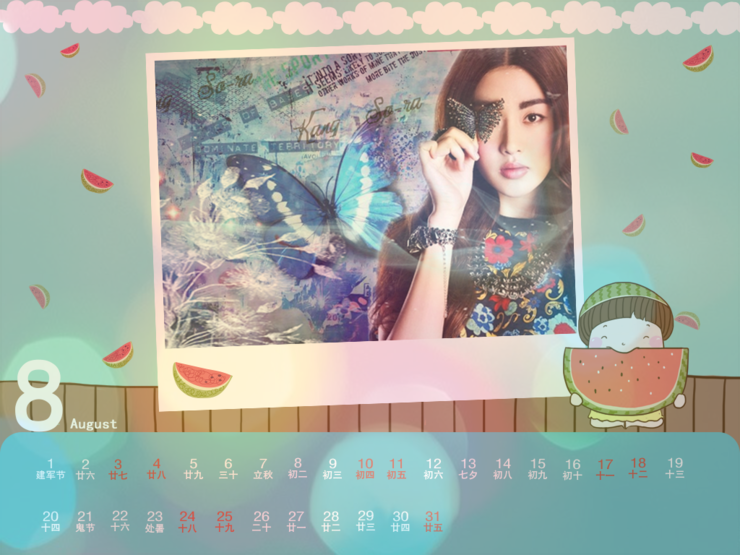 http://media.daum.net/entertain/awards/2012?category=10&type=result&status_code=success&status=3&q_5760=26748&pid=8a8b7ae9398ad751013b2c1c68d201b7&mode=result please help spread the word and vote for sora! 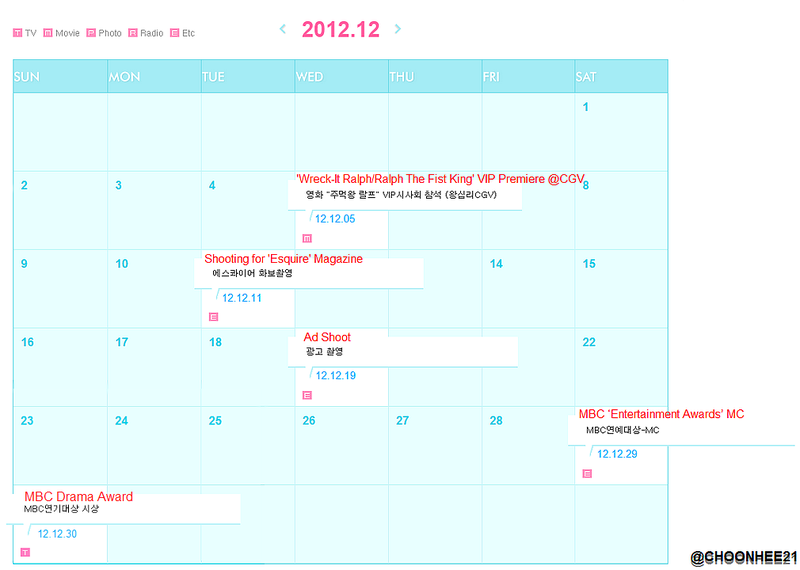 Edit: Complete Sora's Scheduls on Dec.
KOR. (Chinese) Wo shu ma. Ni shu shenme? ENG. My Zodiac is Horse, what is your Zodiac ? KOR. 강소라가 가수이소라님 콘서트보고왔습니당! 겨울이 왔네요..
ENG. Kang Sora come to see the concert Sora-nim the singer Lee Sora! Winter has come ..
ENG. When it's cold, the warm floor and eating roasted sweet potato is fun.. I like it!! 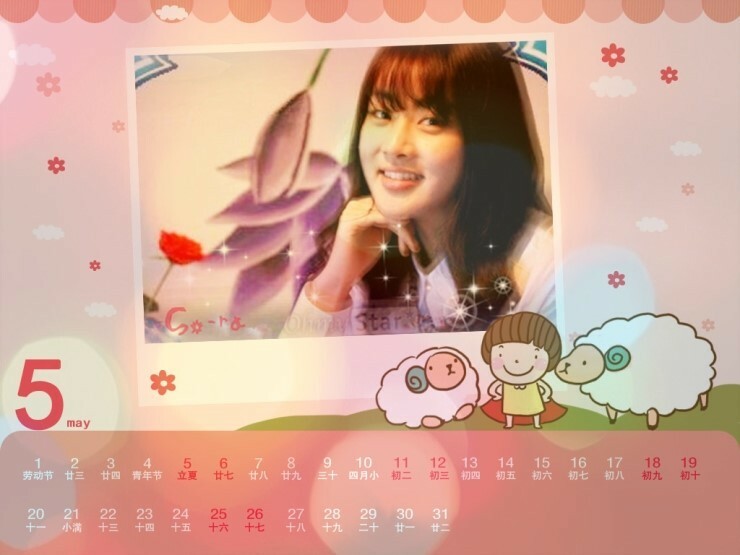 @ChoonHee21-야, how come you figured out that I am older than you? @ChoonHee21, I thought unnie refers to an older female/sister (from female perspective). I was right you're a lot younger than me. Btw, your post of Women of Our House, seem didn't work for me (couldn't see the video). 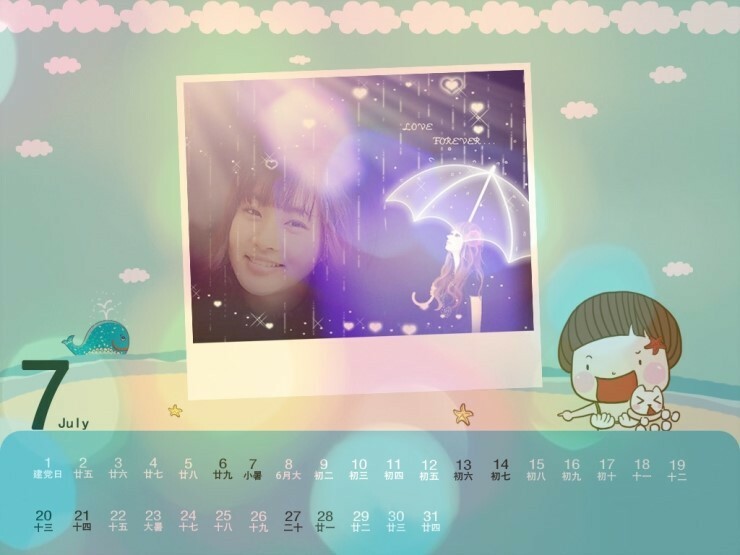 @kirane: Anyway, i respect you, if you older than me or not.. ^^ kirane said: @ChoonHee21-야, how come you figured out that I am older than you?